How do some people overflow with energy in their career, their sport and in all other areas of life? Would you like to be the kind of person who jumps out of bed feeling refreshed, fit and raring to go? If you want to be the person who looks and feels healthy and is thriving in life, then this is the course for you! In this course you’ll discover how elite athletes fuel their body to stay in peak condition without feeding illness and also how top entrepreneurial leaders stay mentally switched on. This is not a to do/to not do list, nor another diet – this is a complete transformation of how you perceive food, and will leave you empowered and fully equipped to choose what food will optimise your body and mind. Every person is individual – and this course will leave you the flexibility to eat what your body needs to operate at peak performance. Join the Facebook Community of other positive and proactive Pioneers! Spaces are limited as we do offer weekly access to Kate and can’t accept more than 30 people! 4 days, 4 emails, 4 worksheets, multiple techniques & all for free! 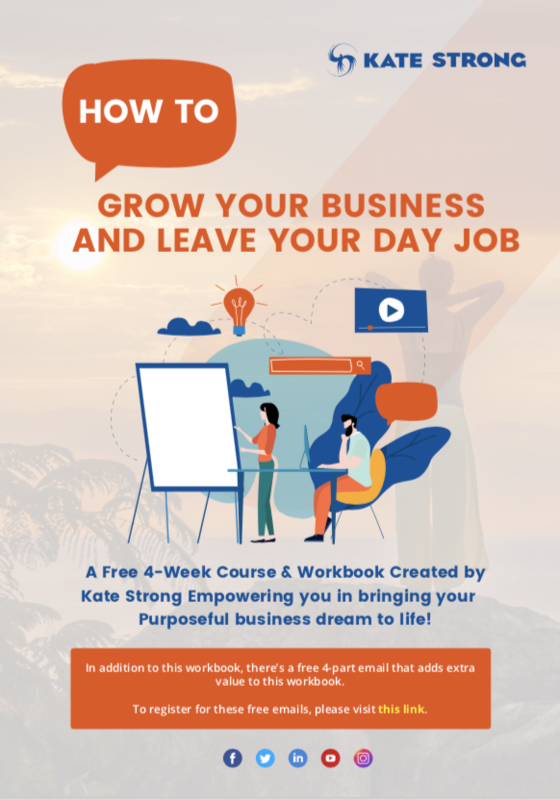 Sign-up for this FREE course to accelerate your business creation & growth.